This year’s #CabFrancDay was full of delicious and inviting #CabFranc! If you think of cabernet franc only as a blending grape and not as a delicious varietal to drink, then you should take the plunge and try some! Cabernet Franc is actually the parent of the cabernet sauvignon grape, and while cabernet franc may be often used as a blending grape, it should not be ignored as a sole varietal that is a touch lighter in color and flavor and less full-bodied than cabernet sauvignon, while still featuring complex notes of fruits, spice, herbs and minerals. Here are the wines I tasted for #CabFrancDay and my tasting notes, with super-special thanks to Lori Budd of Dracaena Wines and all the wine makers and wineries who provided these wines for our tasting pleasure! Benmarl Winery Cabernet Franc 2015, Finger Lakes, NY. 12.5%ABV, SRP$23. Ruby color, nose of ripe raspberry and cherry with green, herbaceous undertones . On the palate: sharp acidity, firm cherry and young red cassis fruit with gentle tannin; medium finish with cedar and wet slate, clay, and pumice. This could last all night, will really show well with food. I still sometimes (wrongly) think of Finger Lakes as a riesling area, this reminds me that they make really good red wines, too! Click for link to Benmarl Winery . Chateau Niagara Cabernet Franc 2016, Newfane, NY. 13.2%ABV, SRP $29.99. Medium purple in color, semi-opaque. The nose offers gentle purple fruit and a hint of funk. 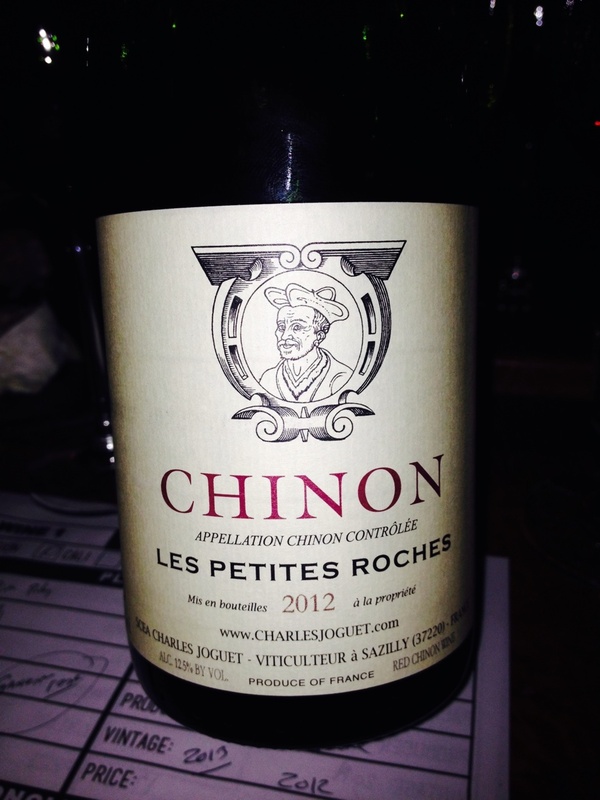 On the palate: plum and red berries, notes of earth, green cuttings, and potting soil. Medium body, matching tannin and acidity. Medium-long finish with final hints of both granite and sandy loam. This wine sits squarely in the middle of major grapes- and with food pairings, this wine can either fade, or feature, depending on the flavor profile of the dish. Chateau Niagara was among the most popular favorite of last year’s taste testers, and it is easy to see why: gentle on the palate, easy to enjoy by itself or with just about any food. I enjoyed this with a melange of flavors, including spicy black bean salad, cheese tortillas and salsa, gouda, and salted chocolate. Bright ruby color, while the nose has a complex aroma of blackberry, plum, and eucalyptus. On the palate: plum, berries, and red currants with secondary notes of african violet and limestone. A specific opulence with this delicate mouthfeel, a little more acidity than the others in this tasting group. 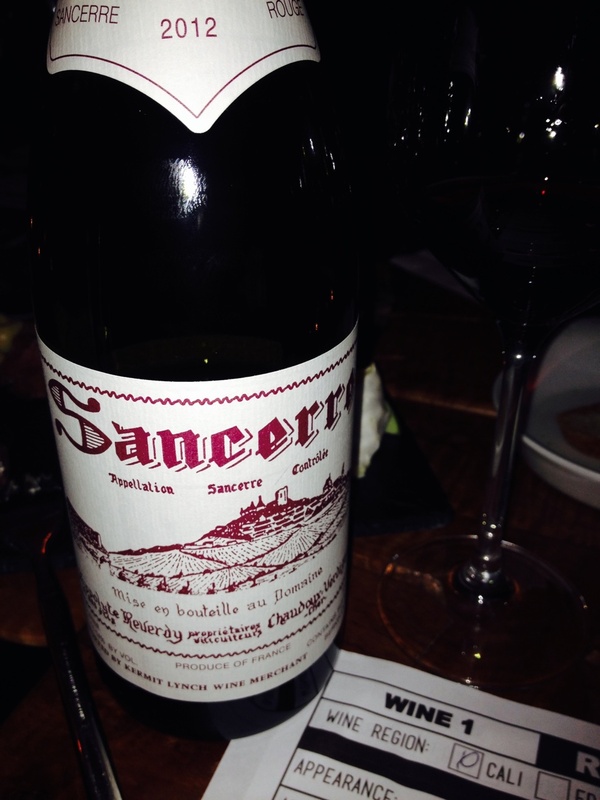 In short, I found this wine spellbinding! Three times I sat down to write tasting notes and just enjoyed the pour instead. I could drink this all day, and if I had room in my cellar, I would buy a case to see how this wine ages. Flagrantly delicious, this wine is flexible in its complexity of flavors to move seamlessly from meal prep through the meal to coffee and dessert! Now we need to find some NYC wine stores to carry Fjord Vineyard’s wares! Light purple in color. Nose of black fruit and stone, with green cuttings. On the palate, black plum, cassis, some green peppercorns, with secondary notes of of clove, cacao nibs, toasted oak, sand, clay, and slate. Medium body on top of the mouth, fuller on the side and back palates with a nice balance, moderate in all things: fruit, acid, tannin, & body. Did I mention there is NO heat on the palate- I never would have guessed it is 14.6% ABV! This wine really can pair with anything, but the reserved quality of it makes it shine with foods that are not over-the-top in flavor profile, which is probably why I keep thinking of it as a vegetarian’s delight. Cab Franc seems singularly capable of handling the spiciness of tomato sauce, the bitterness of overcooked greens, the umami of porcini mushrooms, and everything from sweet peas to eggplant. I loved the maturity of this wine which provided an elegance that made me adore it and think about buying other cab franc just to cellar. I would buy this at a restaurant without hesitation for the elegance and beauty of this wine, plus the flexible pairing cab franc offers. A great pairing that surprised me was Indian food- Chicken Tikka Saag! The wine constantly complements, and never overpowers. You’d be foolish to ignore this beautiful Sonoma County wine with a half-century of age, and at this price, it’s still an excellent buy, just probably not your weekday pairing. It’s worth checking out Merriam Vineyards, and maybe their cab franc is the perfect Christmas gift for your favorite vegan? Don’t you think it’s time you bought some cabernet franc to share with your family and friends? Nutt Road Vineyard 2014 Cabernet Franc Dry Rosé, from Red Newt Cellars; Finger Lakes, New York. 11%ABV; $16/bottle. Color is tango pink, which is a touch redder than congo pink or salmon pink, for those keeping track. The nose is a bright, mineral-laden strawberry with hints of lavender, sodium, and sour cherry. On the palate: a lively and wonderfully acidic raspberry and strawberry fruit mix is dominant on the front palate while racy boysenberry spins across the top palate with a smidgen of heat; depositing sodium, slate, and granite on the back palate with a nice, medium-long finish that will make you return to the glass before you expect to. The bottle is marked Kelby James Russel across the front, and it’s a name to remember (let’s just say a winemaking prodigy, shall we?) If you like cab franc or are a rosé fan, then you should absolutely go out of your way to taste this wine. If you don’t love it at first sip, it will grow on you like fidget spinners in schools or kudzu across the south. Just be glad I took a picture early in the process, because by the time I finished writing this very short review, the bottle was empty. This is a “hit me again”, “where’s the rest”, and “order another bottle” kind of wine. The rosé & cab franc fanatics who track it down might not mention it in public for fear of losing their quota! It’s OK, if you don’t think it’s your thing, just log the name Kelby James Russell in your memory banks. There will be a time when you’ll say “I knew him before he became mainstream” and pretend you tasted this instead of just reading my review. Ehlers Estate Sylviane Rosé 2016, St. Helena, Napa Valley, CA. ABV 12.8%, MSRP $36/bottle. The color of this rosé of Cabernet franc is fuschia. Yes, I said fuchsia. That’s a first for me. Trust me. Even the most verbose of astute critics can be silenced by a wine. I’ve seen it happen. This rosé of cabernet franc is just delightful. Once you get some, you might turn the bottle around in your hand, pick up the phone and call the number on the back, asking to join their wine club so that you can get some of this juice delivered direct to your door. You would not be the first, nor the last, to do so. When I saw the playful, unusual, and delightful color of this wine, I put it away in the cellar and put a note on it: OTBN (Open That Bottle Night). Months later, I spent days choosing a lengthy wine evening (nine+ bottles) and as I secured treasures from my cellar, I pulled this bottle out, wiped her clean, and put her squarely in the middle of the tasting: bottle #5. Part of me wanted to make this bottle #1, as with the recent steamy weather, it would be easy to start, continue, and end the evening on one wine -if only I had a case or more to play with. But with ten guests and one bottle, everyone could get a fair pour, and that would be that. But it would be absolutely delicious! ‘Celebration’ Dinner wines. Not including the aperitif Vinho Verde or additional after-dinner drinks, such as a 1962 Bas-Armagnac. Kevin Morrisey as a winemaker is quite similar to me as an audio engineer or production manager. In my world, the star gets what they need, everything in the production is highest quality, done right, and the audience gets a PERFECT performance -the way show business is supposed to be. It doesn’t matter what happened on the way to the venue, during the load-in, or what technical issues might arise- anything could be in the way. We overcome, and the audience gets the best show possible, period. Similar to producing an event from a single idea, Kevin raises his “stars” from seedlings, grooms and cares for them with love on the vine, trimming the canopy for both protection and optimal sun exposure. He harvests them at the perfect time, uses the least intrusive measures (100% organic) to get the maximum result. He presses them with a champagne press. The wines see fermentation only in stainless steel, before bottling. No matter what happens during the growing season or after crush, he overcomes: his eye on the prize. Kevin treats this wine with both passion and scientific expertise, with love and the utmost of care- as he only wants to make sure the person who gets to drink his rosé will love the results and the message in the bottle. The best wine possible, period. There is a reason why this rosé is both priced comparatively with the finest rosé wines from Provence, France, and why it may be difficult to find months after release: This wine is just that damn good! Production size is low, and demand is high. And that’s why you should seek it and drink it. This is NOT the “drink me every day” rosé. To me, this is the engagement, anniversary, amazing dinner, or special event rosé. I call it like I see it, but you have to do the same. Of course, if YOU can secure a few cases, it could be the “drink me any day that ends in Y” rosé. If that’s the case… invite me over for a bottle! I’ve liked cabernet franc for a long time. I’ve enjoyed it primarily as a blending grape, and secondarily as a single vineyard varietal, as a wine that I sometimes offer at Thanksgiving. But as a grape, it never bowled me over, that is, until #CabFrancDay. For #CabFrancDay, I tasted seven bottles of cab franc in great detail. I spent copious time with each one. Sometimes I came away with tremendous tasting notes. Sometimes I just wanted to sit and enjoy the flavor and fragrance of the wine, much like the title character in Munro Leaf’s book, “Ferdinand the Bull”. Some things dawned on me while I sat and smelled cabernet franc, taking tiny sips and noting flavors. And what I found out about cabernet franc wasn’t earth shattering knowledge. But it was incredibly valuable and made me think about how I pair wines and food. The cabernet franc grape is the thin-skinned father to the bold, bodacious, massively-flavored cabernet sauvignon grape. In comparison, Cab franc is restrained, genteel, even moderate. While it features flavors of dark berries, cassis, bell peppers, leather, forest floor and licorice, these flavors are subtle and mild, and the wine’s acidity and tannins are equally muted. These are what helps make cab franc an excellent blending grape. On the other side of the equation, for a winemaker who develops the grape with intent of making a great single varietal bottle of cab franc, sometimes they are able to create a wine that has class, maturity, and depth in only three or four years, with characteristics that I often wait a decade for in Old World wines. I want to share my tasting notes from #CabFrancDay. And I still might, but it’s more important to me to peak your interest and whet your appetite on the GRAPE. It’s a bit of a challenge to find a great cab franc, but it is also highly worthwhile. So today, no tasting notes. Instead, I’m going to tell you what I FELT about these wines. 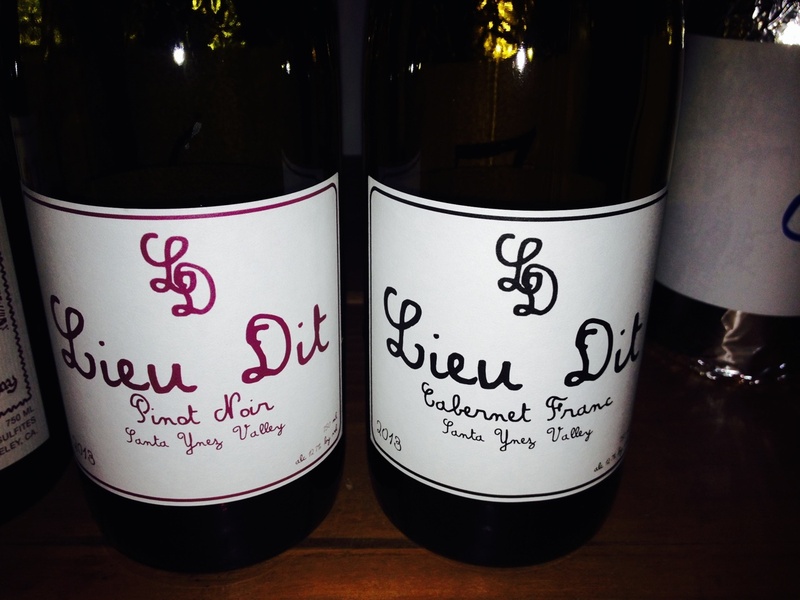 I felt that these wines showed beautiful expression: they were delicate, reserved, graceful. 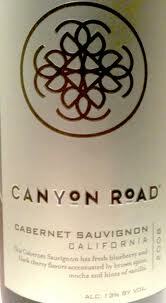 In general, I found that the East coast cabernet francs were more subtle with slightly higher acidity. The Oregon and California Cabernet Francs were more expressive, more powerful, still reserved but passionate. While I really enjoyed the expression of the East coast cab francs, the West Coast Cabernet Francs haunted me. I dreamed about them. I talked about them constantly. I searched my social media feeds to see if there were associated experiencing the same thing. Some of my friends preferred the East Coast wines. But we all were impressed, if not blown away. Some, however, had powerful experiences like myself. There is a new movement afoot. To get #FrancdUp does NOT mean to get drunk, but instead, to hedonistically enjoy a beautifully made #CabernetFranc. Find your #Franc. Get Franc’dUp. Trust me. And feel free to tell me about it. Recently we had several friends over for dinner, and choosing wines required a moment of thought for me. The menu included beef and lamb, so I wanted wines that would be able to pair and complement well. 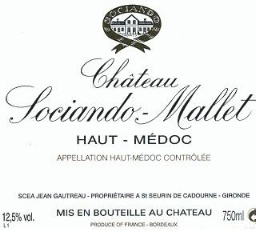 I started re-arranging a section in my cellar and found a remaining bottle of 1983 Sociando-Mallet Haut-Medoc. I’d purchased several of these bottles at auction and enjoyed the next-to-last bottle. I pulled and dusted it, examined the foil and cork (not bad!) and then selected a couple of younger bottles for follow-up wines. When I opened and decanted the 29-year old bottle, the cork broke, but the second half came out as one piece. While the split cork could be a bad indication, the initial color was good, a deep garnet with just a small amount browning on the edges. On the nose, I discerned a slight tinge of the acidity starting to turn on my initial aroma, after more air it dissipated completely. 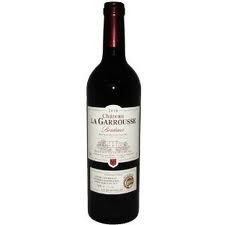 My initial impression was balanced tannins and acidity with cassis and raspberry in the background. Yet the balance was good and the wine opened considerably. As the wine aerated, the cassis and cherry opened more into the back palate, as did the hints of cocoa, pepper, and clay. I was hardly surprised there was nary a hint of cedar or oak to be found at this age. It is important to note there was not a hint of sugar or sweetness in the fruit, confirming that this needed to be consumed now or risk that hint of TCA becoming a complete reality. After 30 minutes of air, the wine had opened to be a lovely, medium-bodied complement for the lamb, and it was time to open another bottle. 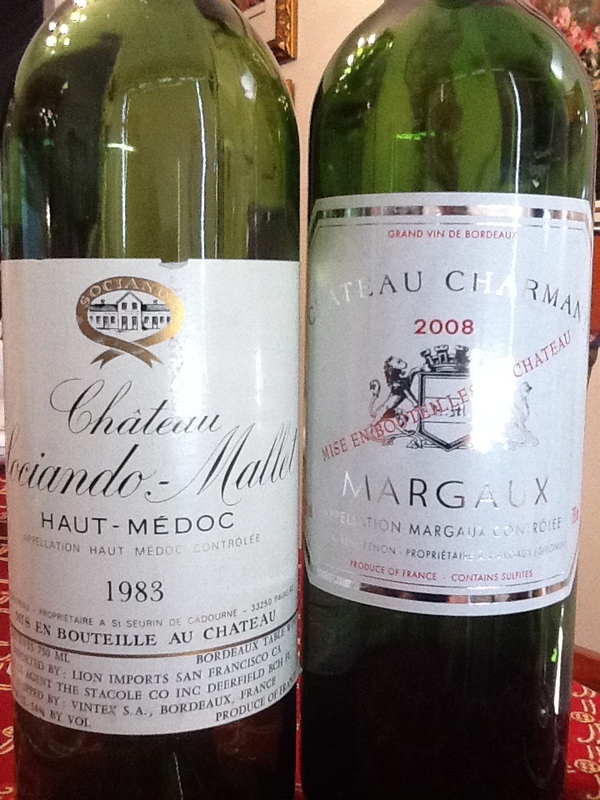 Next I picked a Chateau Charmant Margaux 2008. The Charmant is dark purple in color, has a nose that includes rose petal, black plum, a hint of menthol and graphite. 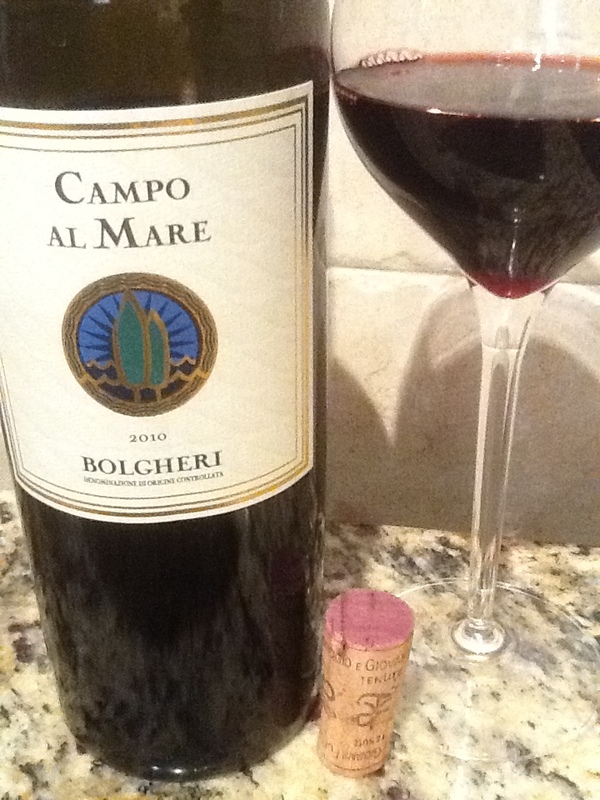 The palate is full of black plum, blackberry, cassis, with elements of cedar, cocoa, pepper and rose bush. 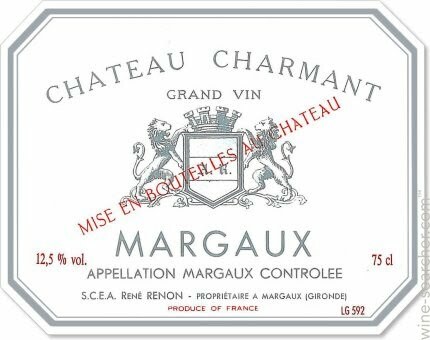 While this wine is still young, it’s a great example of a huge, fruit- forward wine with balance and the lush silkiness that endears the great Margaux to me. On the downside, this wine is currently lacking the immense structure and depth it will have upon reaching maturity. Nonetheless, it played a great foil in comparison to the fully matured Sociando-Mallet, from delicious wine to delicious wine, from fall to spring, and a wonderful transition in seasons and flavors.